Much like the movie “Hidden Figures,” this play, by Lauren Gunderson, centers on Henrietta Leavitt, an actual women pioneer of astronomy. 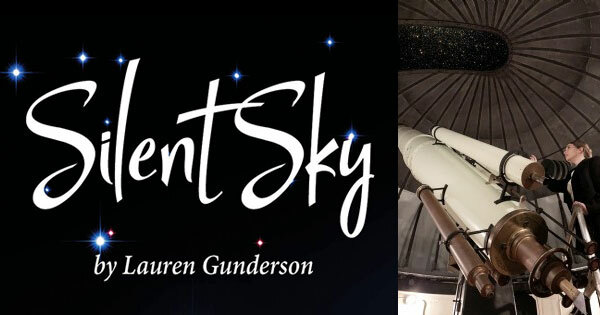 Much like the movie “Hidden Figures,” this play, by Lauren Gunderson, centers on actual women pioneers of astronomy. Female “computers” were paid very little to do the scientific calculations for their male counterparts in the early 1900s. Despite not being allowed to touch the observatory telescope, title character and real-life astronomer Henrietta Leavitt, is credited with discovering how to measure the universe in 1912. General admission tickets cost $10 each and are available online now. Performance times are: 8 p.m. on Friday and Saturday, one Sunday (2/10) matinee at 2 p.m. and a 7 p.m. Valentine’s Day performance. American Sign Language interpreted performances are on Feb. 9, 10 & 14. Please refer to the website for specific information and to ensure ticket availability as limited seating is available in the Black Box Theatre. Sinclair’s Black Box Theatre is located on the fourth floor of building 2. Take the elevator to the third floor and follow the signs to the half flight of stairs leading up to the theatre. A chair lift is available for anyone who needs assistance on the stairs leading to the Black Box Theatre. Early arrival is requested as no one can be seated after the production begins. Find more events like "Silent Sky"
Flexible theatre space with approximately 80 general admission seats (depending upon performance).